Using their special knowledge of how to teach seniors to use new technology, our skilled instructors take the mystery out of using a computer. Who says octogenarians can’t learn how to use an iPhone? Or email their grandchildren? Or travel with a tablet? Not us! We make the assumption that learning is possible at any age — and that includes the latest technology. Instruction in smart phones, tablets and computers is offered at our Sarasota and Venice Friendship Centers. Check out our calendars for the current schedule. 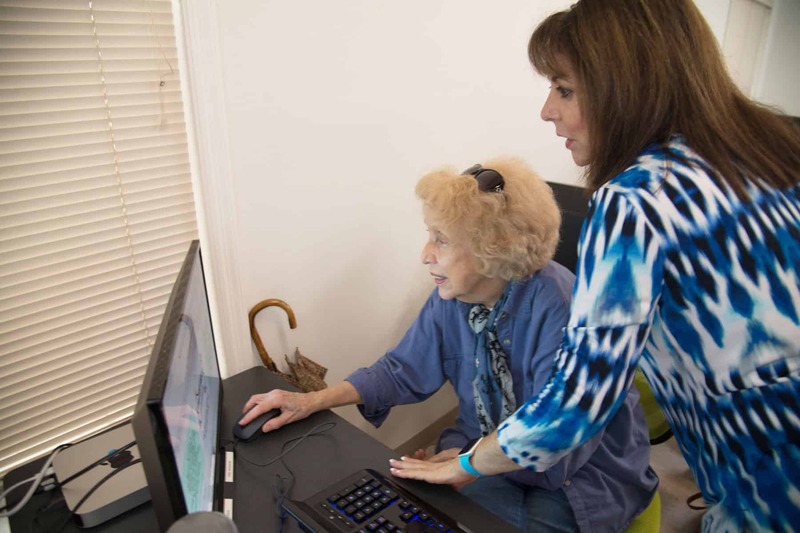 We are proud of the fact that the Friendship Centers was one of seven organizations in the country to be chosen by the National Council on Aging and Verizon to be a test site for the Digital Aging Mastery Program®, which uses interactive technology to help older adults connect online and age in place longer. Participants graduated from email and web-surfing to more sophisticated applications such as photos and Skype.